After years of working as an actress, Pearl has used her experience of tapping into emotional banks for characters as a way to also harvest genuine depth and brutally honest feelings for her music. Pearl The Girl debuted in 2018 with the release of single ‘I Hate You’. She then quickly followed up with second single ‘Mr Informative’. The singles received stellar reviews from Pile Rats, Purple Sneakers, Scenestr and many other media outlets. Pearl has recently been in the studio working on her debut album ‘Just A Phase’, which is set for release later in 2019. New single and music video ‘Little Animal’ is now available for download on all major online stores. Little Animal is Indie Rock at it's best, and is laden with plenty of Pop to hook you in. Press play and your toes will be tapping within seconds! 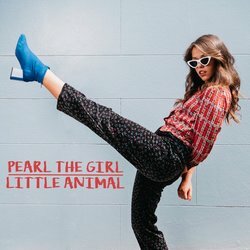 Pearl The Girl tells an earnest tale of the 'one night stand' in playful pop fashion.